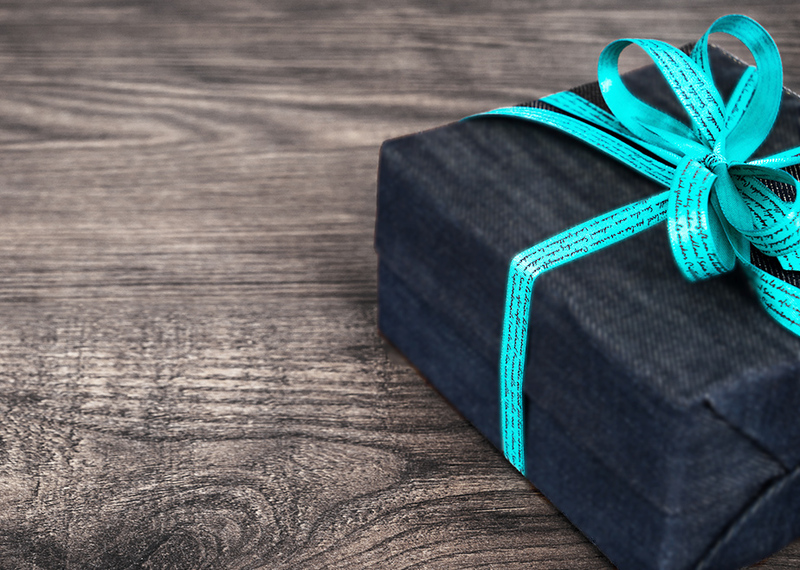 Whether or not employers should give gifts to their employees is an oft-debated topic. The ethical side of office gift-giving is up to you, but whatever you decide must also take into account IRS regulations for taxing gifts. Here are a few things you should know about handling gifts for employees, as well as a few non-taxable gift alternatives. You may find yourself in a situation in which you want to reward one or more employees for something. The first thing to know is that rewarding your employees is perfectly fine—unless otherwise stated in your employee handbook, you’re allowed to give them gifts, and they’re allowed to accept those gifts without repercussions. However, a gift must fit a certain set of criteria in order to qualify as a de minimis fringe benefit (that is, to avoid taxation). Non-taxable employee gifts qualify as such under a few specific circumstances: the gift must fall under $100 in value, there must be no clear monetary value to the gift (e.g., no price tag or declaration of value)—such that an employee would have a reasonably difficult time finding the exact worth on their own—and the gift must not recur or fall under any kind of constant basis. For example, giving an employee a ticket to a basketball game once is fine, whereas a season pass or providing a ticket each month is not. It’s important to note that the value of the item can be researchable as long as it isn’t blatantly available. Any cause for celebration usually warrants a gift, but your business may want to handle such instances a bit differently. Circumstances such as a promotion or a new hire might initially appear worthy of a gift, but doing so sets a precedent that you’ll have to maintain later. It also gives the IRS a clear motive for the gift, making the gift itself a target for taxation. On the same side of the spectrum, providing standardized gifts for all of your employees due to an event (e.g., a holiday) will also set up the gifts as taxable income. If you’d like to reward your employees as a group, considering non-taxable alternatives is your best bet. Put simply, any gift with a clear cash value is taxable, and failing to report it as such is a violation. This makes things like prepaid Visa cards, multiple paid meals, cash rewards, and similar items unequivocally taxable, while less-obvious items like a holiday turkey or a bottle of wine qualify as de minimis if you don’t hand them out with any degree of regularity. Employees must report gifts that have clearly delineated monetary values as part of their income for the relevant year, so it’s important for you to keep track of the gifts you give. For example, a gift card of any kind, such as a $50 Amazon card, requires virtually no effort in valuing—the actual value is right on the card! A less obvious gift, like a food item or a new set of supplies, might better suit your employees. Of course, just because an employee must pay taxes on a gift doesn’t make the gift not worth giving—just remember that employees who are on the edge of a tax bracket may not benefit as strongly from the same cash gift that you might give to someone sitting comfortably in the middle of one. When looking for ways to give back to your employees, any normal reward that qualifies as a tax-free gift (e.g., a one-time ticket or a free lunch) is a good place to start; however, these gifts may not be practical or fit your office’s culture. If so, you have a few non-traditional, non-taxable gift options at your disposal. Events such as holiday parties or half-days are great substitutes for cash rewards, with the added benefit that they’re also more inclusive than a targeted reward—celebrating one employee or a group of employees by throwing a party or hosting an in-office lunch promotes workplace cohesion and furthers the narrative that your business works, succeeds, and celebrates as a team. Another potential gift which one cannot tax is the accrual of remote worktime. Many employees have the capacity and the equipment to work from home; providing this as an incentive allows you to reward deserving employees with something which they desire without having to worry about any semblance of tax ramifications, and it gives other employees something toward which to work. Just as your employees deserve to have their hard work recognized, you deserve to know how to recognize best their efforts without ending up in the IRS’ crosshairs. For more information about employee gifts and other payroll-related subjects, call Abacus Payroll at (856) 667-6225 today!